The Weekly Weather: It’s been cool in the mornings and warmer in the afternoons and evenings. That’s pretty typical for South Texas in the spring. Rain was in the forecast a couple of times, but we didn’t really get anything. What Paul’s Been Up To: Mainly work and school. He didn’t have Scouts this past week (and we’ll see if he gets called back into Scouts). He did take one day off of work (originally there was going to be a camp out, but that got canceled) and used it to work on school work. With his semester ending soon, he’s got some extra projects and whatnot that are needing his attention, so this day off was helpful. 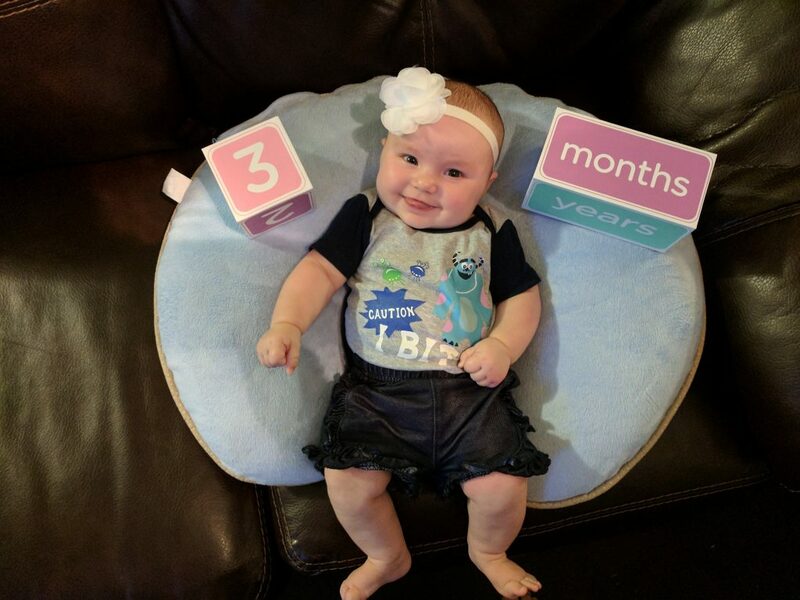 What Abigail’s Been Up To: She hit her three month mark and has been her usual smiley, happy self. 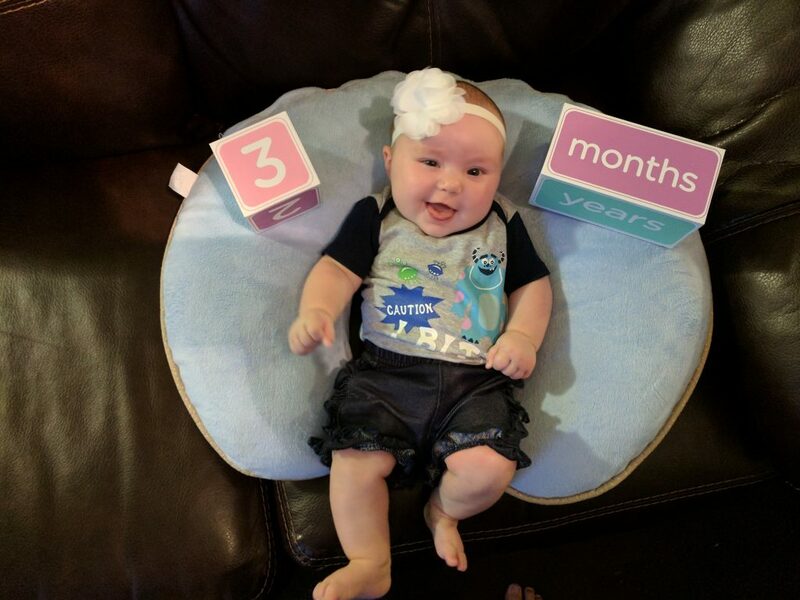 It seems she may have picked up a stomach bug, so yesterday was a bit rough, but she’s slowly showing improvement, so hopefully it will pass soon! 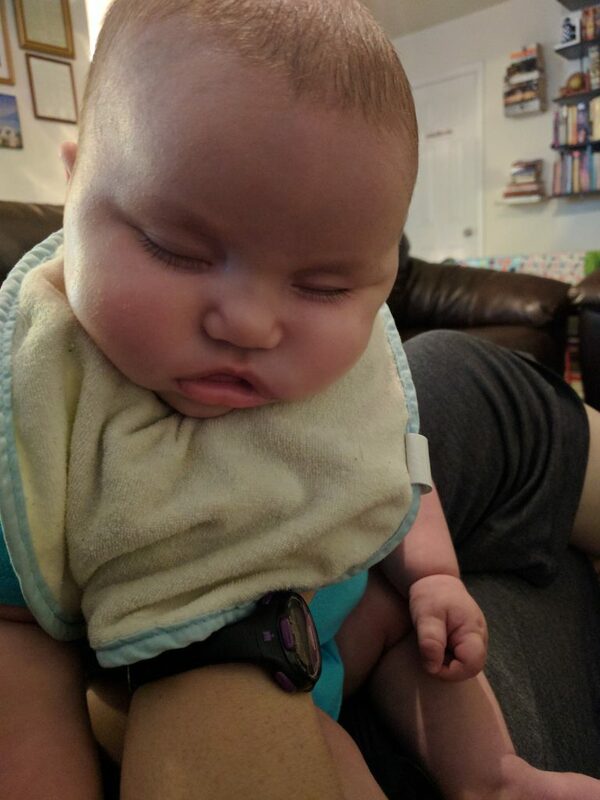 Milk coma for the win…she was actually snoring a bit while I was trying to burp her, haha. I love that her personality is developing more and more. 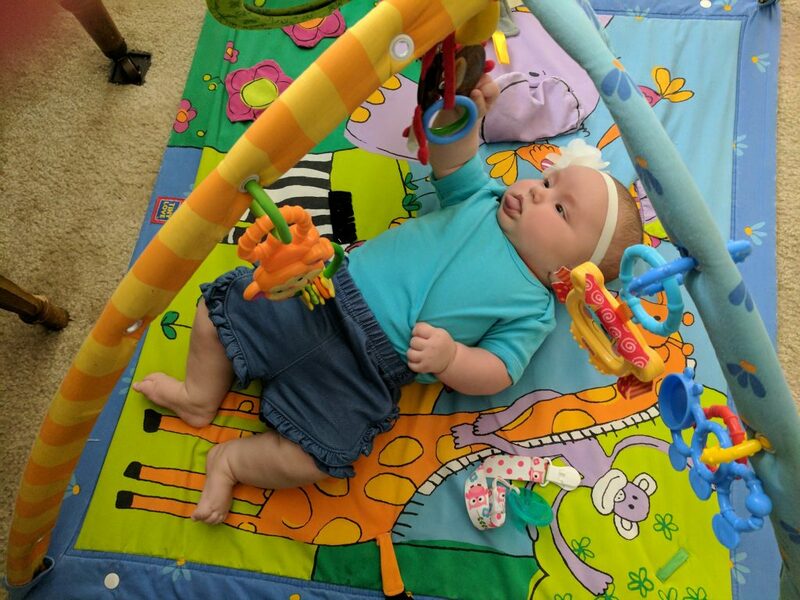 Starting to reach for her toys more and more. I love the ever-present tongue!